It’s game day in the city and you simply can’t decide which bar best suits your pre-function needs. TVs and beer are easy enough to find, but getting the right atmosphere in a venue is a more difficult task. 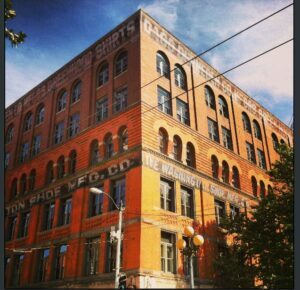 Game day brings with it the exuberance of a street fair and Pioneer Square comes alive. All the way down Occidental Avenue the street gets flooded with food and sports memorabilia vendors. Regardless of the contest, Three-fingered Jack, who is technically 3.5 fingered (not counting the thumb), is strumming away on the steps of CenturyLink while Pedi cabs zoom by spreading the aroma of popcorn and hotdogs with each pedal. 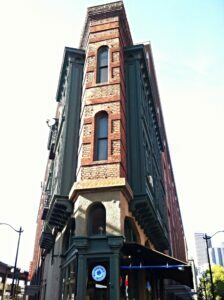 Once you are on the main drag there are five main bar options that I recommend you explore. all set in an awesome venue, which is less than one block from the stadiums. to burgers. From start to finish this place is a great time. into the fall when the M’s are well out of the playoff race. These fans are the lifeblood of Sluggers. If you’ve ever seen Good Will Hunting this is the kind of place that Will, Chuckie O’Sullivan, and Morgan O’Mally would come to before a ballgame. 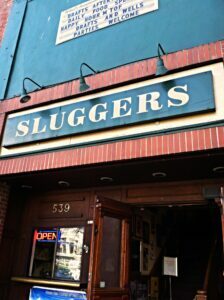 Due to the cozy nature of this bar I highly suggest you buy a couple of pitchers and get comfortable with the people around you. By the time the game starts you will have made a bevy of new friends and had a great time doing it. 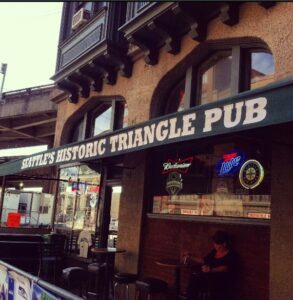 The Triangle Pub exudes authentic charm and the age does not detract from the experience, it only adds to the character of the establishment. It’s a celebration with food, drinks, and a wide assortment of lottery games on game day. This allure to this bar isn’t the beer or the food in particular, but it’s the experience you share with all the other fans that are packed into this historic establishment. Come with a group of friends and stake out a spot on the outdoor patio. The patio is a covered space with a view of the stadiums and also provides a great perch for people watching on game day. This is a more raucous crowd so pre-funk accordingly. get a cocktail, then this place is for you. gives you a chance to kick back and enjoy the energy of game day in the city. 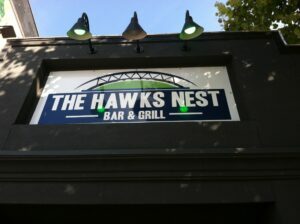 If you cant make it down to the stadium, then check the following bars out on game day. Hayden Campbell is the Marketing Coordinator at Visit Seattle. A native Okie, he is deeply passionate about athletics and looks forward to enjoying every sports season with family and friends.